Frida Kahlo. How to describe her in just a few words. Renown as a painter, many of them self-portraits that unflinchingly reveal her pain - the result of a devastating trolley accident when she was just 18 years old. Pride in her heritage - her mother of indigenous and Spanish ancestry, her father German. A collector of folk art, of friends and lovers, pets from monkeys to parrots and Xoloitzcuintli (Mexican hairless dogs). Passionate. Definitely passionate. 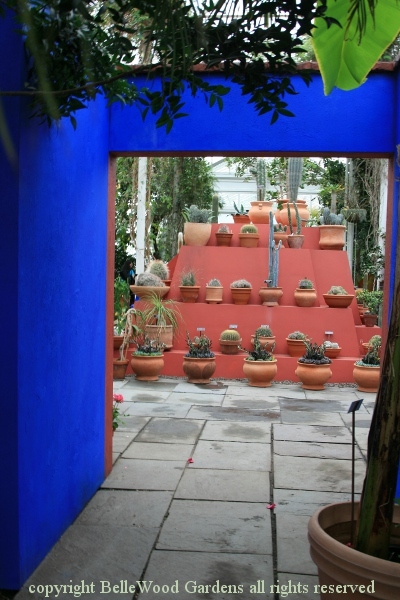 Frida and her husband, Diego Rivera, lived in Casa Azul, the Blue House, built by her father. In central Mexico the local recipe for a natural plaster is simple: clay, lime, borax and a slurry of cut-up nopal cactus paddles - five parts of water to one part of nopal. The lime acts as a stabilizer, borax retards molds and the gooey, slimey cactus works as a binder. The luminous, exquisite blue color of Casa Azul? That comes from indigo. 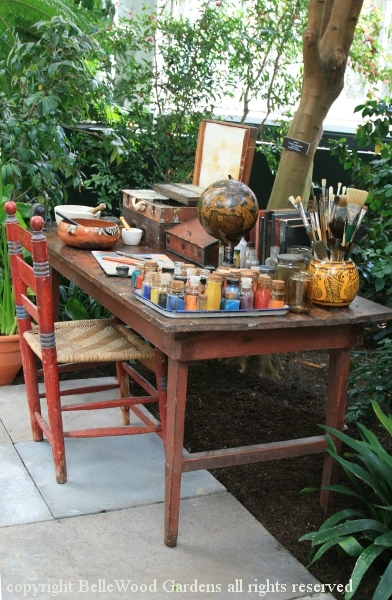 Which made difficulties when the New York Botanical Garden was preparing for it's current exhibition: Frida Kahlo: Art. Garden. Life. That elusive, luminous blue. Set aside the differences in the quality of light between here and there. it had to be right. Paint chips went back and forth. The exhibition walls were painted, repainted, painted again, and then - finally - at the fourth painting the consensus was reached. Casa Azul blue. Come, walk with me into Frida's garden. 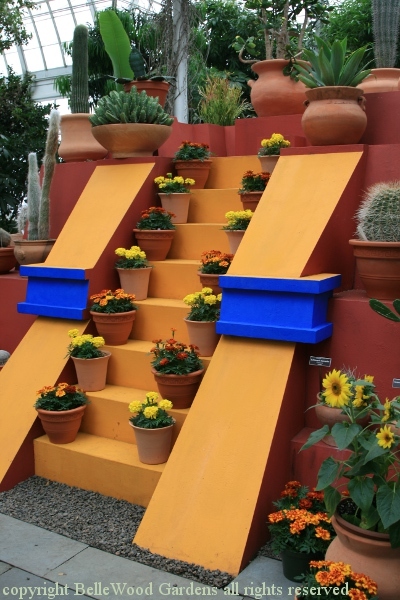 Frida and Diego had a pyramid made in their garden, homage to the ancestral people. Here, in the exhibition, marigolds on one face, a diversity of potted cacti on another. Want to sell your house? Realtors advise neutral colors, linen white and beige. I'm sure Frida would have been screaming and throwing things at them. Or turning her back, scorning them, just ignoring them. 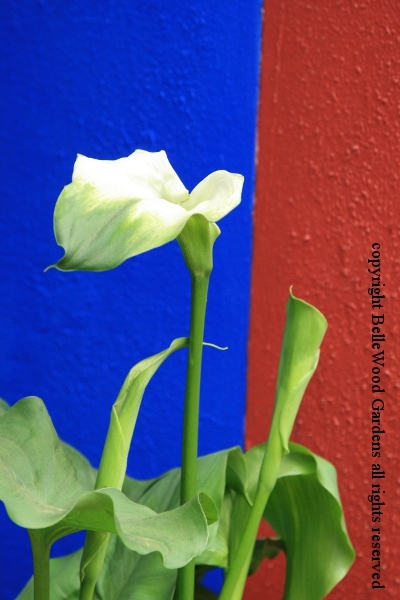 This 'Green Goddess' calla lily would vanish into a neutral background. 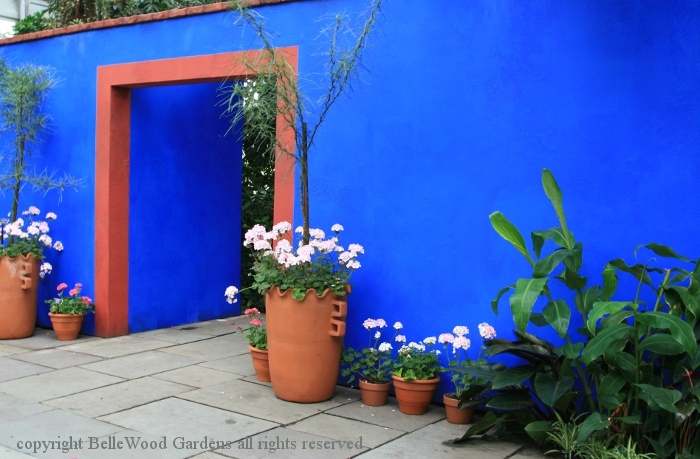 Here, it makes a fabulous geometric against the exhibition's rich blue and russet walls. 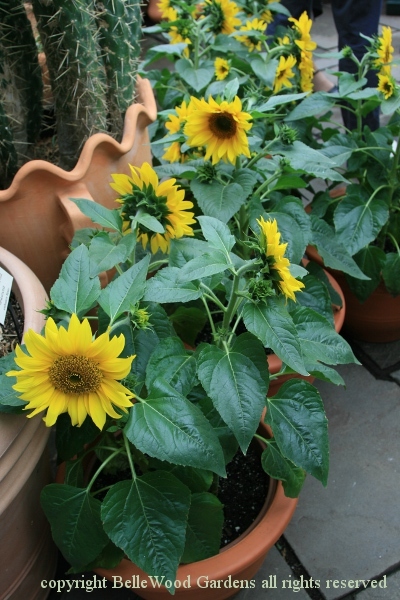 from cacti and succulents to these girasole, sunflowers, and vibrant kalanchoe. 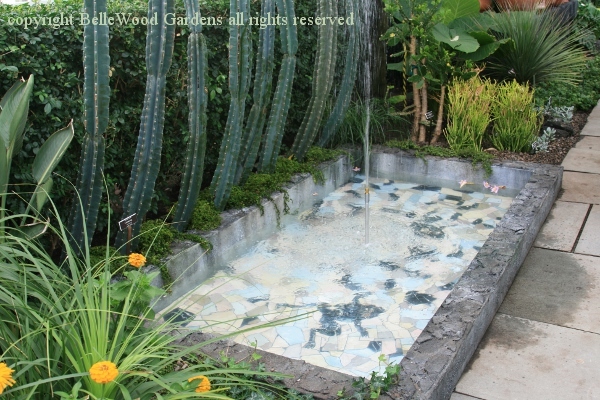 into a shallow mosaic pool, two frogs, tiled in the bottom. 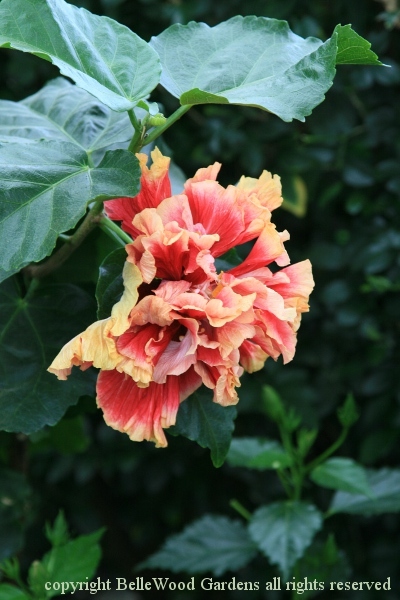 I really like this frou-frou hibiscus with its multiplicity of rose-red petals edged with a yellow like thick clotted cream. It makes me think of the long, colorful skirts and many petticoats the Frida wore. Her style, yes, and also a disguise for the polio she developed as a child which left her right leg thinner than the left. 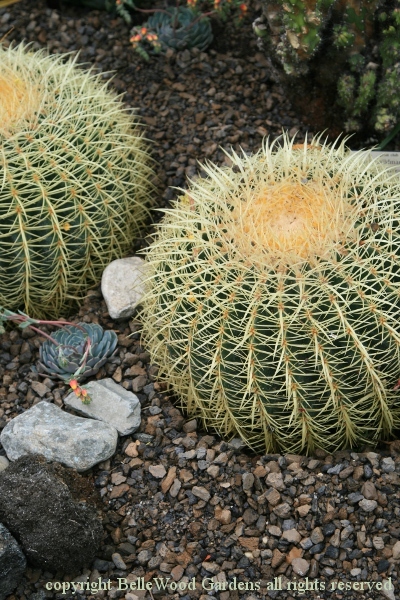 Cacti in pots and also in the garden's soil, these beautiful golden barrel cactus among them. 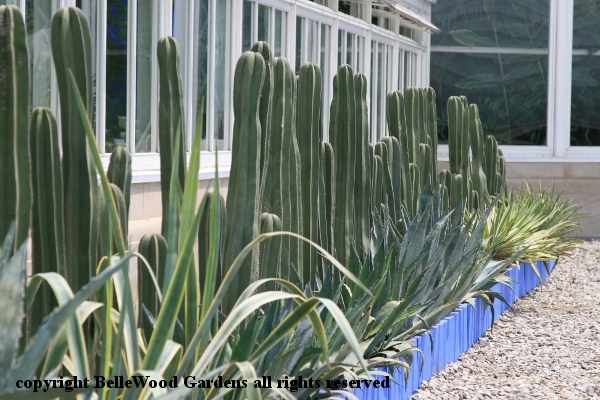 A cactus fence at Casa Azul is here replicated outdoors in the water lily courtyard. This is a garden, filled with flowers and foliage. Frida often wore flowers, often used them in her paintings. Their symbolism of fertility and fecundity was also powerful symbolism to Kahlo who miscarried several times, unable to have children as a result of the accident in her teenage years. Her obsession with fertility was often the subject of her paintings. Here, the life-giving sun is surrounded by plants in the form of erupting male penises and female wombs protecting a growing fetus. Frida's sadness over her infertility is shown by the weeping sun and fetus. 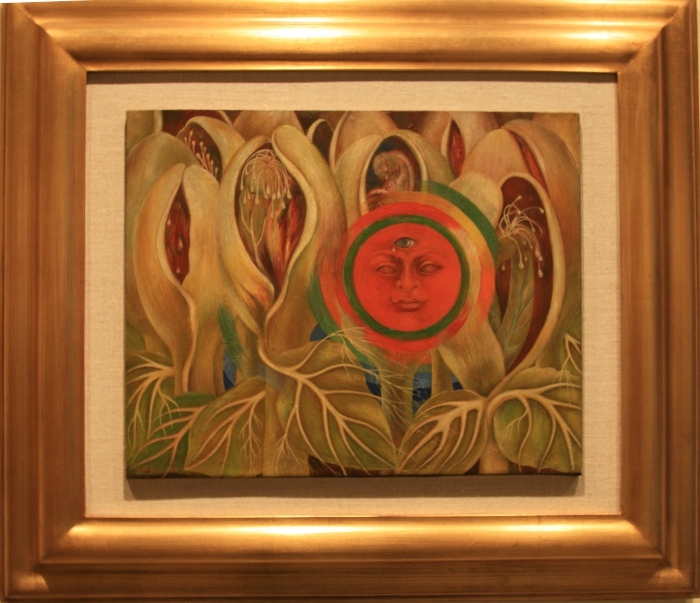 This painting is one of fourteen original paintings and drawings on display in the LuEsther T. Mertz Library's Gallery, highlighting Frida's use of botanical imagery in her work. This is a richly textured event, to enjoy on many levels. You can look at it, just as something pretty. Admire a woman who turned life-altering mishap and multiple surgeries into artistic achievements. Peruse the art work, several on loan from private collections. Stop at the Casa Azul taco truck for lunch. 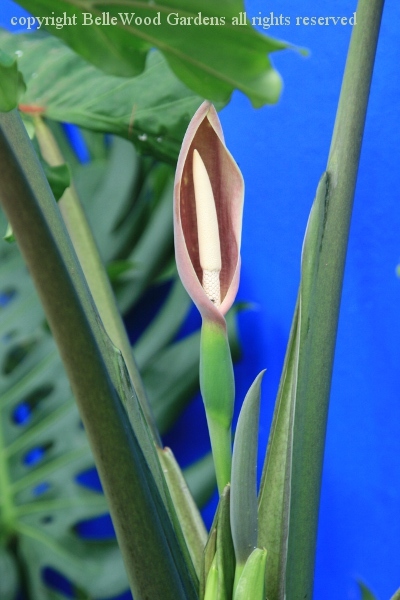 The Everett Children's Adventure Garden has hand's on events for children with Frida's Flora and Fauna. Enjoy the Vilalobos Brothers music. Try the Pine Tree Cafe. The Hudson Garden Grill is a full service restaurant, just opened in April - reservations suggested. 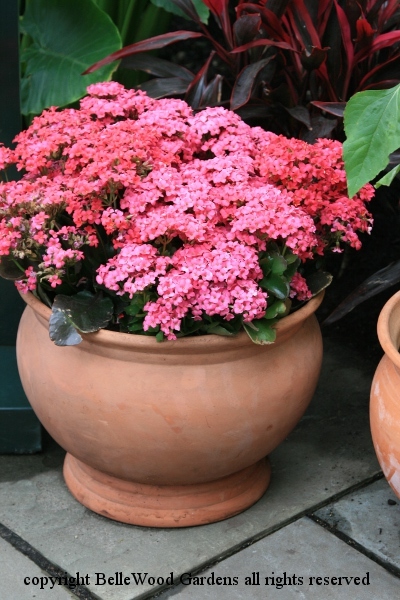 And of course there's always something to see outdoors on the grounds - from azaleas in the springtime to summer's roses and perennials and autumn's rich hues. Frida Kahlo: Art. Garden. Life opens on Saturday, May 16, 2015 and runs through November 1st. More information is available here. 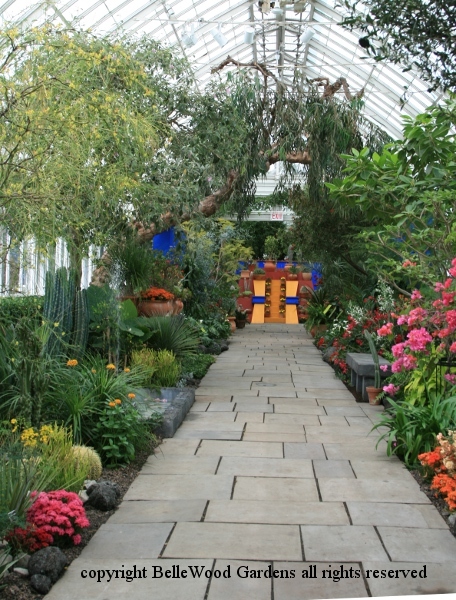 Open Tuesday through Sunday, the Garden is easily reached by car or by MetroNorth with a stop just across from the Mosholu entry gate.